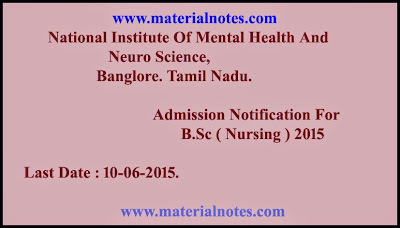 Admission Notification Into the B.Sc Nursing 2015, NIMHANS, Banglore, Tamilnadu. 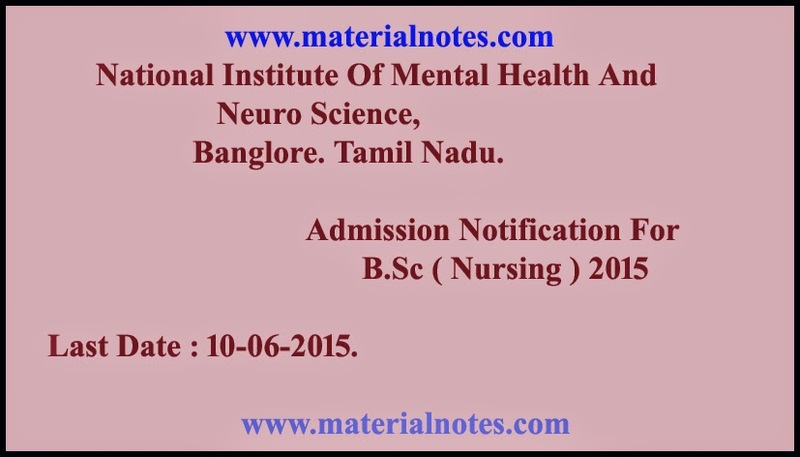 National Institute of Mental Health And Neuro Science. Inviting the Admissions into the B.Sc Nursing Course and PG Diploma Courses. Post basic diploma in Psychiatric Nursing. Post basic diploma in Mental Health Nursing. Post basic diploma in Neuro Science Nursing.